3 Top End Cottages01263 715779work01603 870304fax Self-cateringA traditional cottage of the period with four bedrooms, making for a beautiful holiday home for friends and families. This cottage is furnished to a high standard with a large garden. 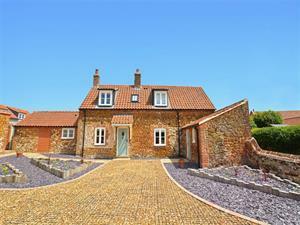 With great beaches and the Ringstead Downs nearby, this cottage is also perfect for your dog as well. There is a shop and a 17th Century pub/restaurant. • Outdoors: Spacious enclosed garden with lawn. Please note changes of level throughout property and garden. • Access: Designated parking for 4 medium or large cars. A traditional cottage of the period with four bedrooms, making for a beautiful holiday home for friends and families. This cottage is furnished to a high standard with a large garden. With great beaches and the Ringstead Downs nearby, this cottage is also perfect for your dog as well. There is a shop and a 17th Century pub/restaurant.